Perfect your French from home with native speaker teachers qualified in higher education and selected for their teaching ability. 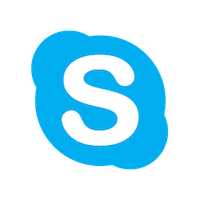 By Skype, courses are fully adapted to your wishes and you will learn easily about the topics that interest you. You will improve your French at your own pace, with a standard or intensive course depending on your availability and objectives. Develop and improve your speaking skills in French: conversations on various subjects chosen based on the educational path and your needs. Study topics are personalised based on your level, your objectives and your interests. Learn and/or perfect your French in the context of your work. Work on grammar through reading activities, listening to songs, exercises, and conversations on various topics. Develop the necessary skills for preparing for your university studies. Registration: reserve your classes via contact@ilp-france.com and iLP will offer you a teacher who will call you on Skype at the meeting time. Connection: you will connect with your teacher from your home or office, on your computer, tablet or smartphone. Course materials: iLP will send you the documents by email before the course. The course: learning over Skype is interactive and dynamic. The emphasis is placed on oral expression to allow you to practice as much as possible and feel more at ease speaking French.